XCellCure CEO Leah Amir has achieved commercial success throughout her career, starting with her experience at Mallinckrodt Medical and extending through her input as Executive Director of The Institute for Quality Resource Management. She has developed and provided creative solutions to vastly increase market share for Biosphere Medical, Medtronic, Zimmer, RadioTherapeutics, DataScope, and FocalSeal in addition to many other companies. As a Partner at Data Management Consultants, she achieved exceptional growth through sales negotiation to Modis in 1999. With 20 years of experience leading commercialization of new products, Leah Amir has become an expert in delivering clinical solutions in numerous areas of medical practice including cardiovascular disease, orthopedics, diagnostics, and tissue regeneration. Expertise: Product development, FDA submission / clearance, Reimbursement, Sales Force Training, and Implementation of routine use of new technology. Throughout his over thirty years of experience as hospital CFO and then hospital CEO of St. Anthony’s Medical Center, Dave elevated the Medical Center to one of the most successful hospitals in the state of Missouri. By aligning physician incentives with the use of new technology Dave led a revolution towards improved quality of care simultaneously meeting the center’s set fiscal objectives. During his tenure at St. Anthony’s Medical Center Dave was instrumental in creating a prototype of the Accountable Care Organization, Unity Health System. Dave’s experience and knowledge brings to XCellCure the necessary perspective of today’s hospital administrator. At XCellCure, Dave applies his expertise in health care administration to effectively analyze and solve problems regarding improvement of patient safety, delivery of the highest level quality of care, and vigilant maintenance fiscal solvency. With international experience and a hands-on perspective of the current needs of all levels of clinical care, Dave is a pivotal member of this team. Expertise: Experience with board management, federal regulators, fund raising, market strategy to achieve exceptional growth, and leveraging contacts in support of commercialization to a large provider market. Member of the Healthcare Advisory Panel. With over two decades of experience developing and conducting novel molecular and biochemical assays to characterize human diseases at Pfizer, Gary is the technological driving force behind research and development at XCellCure. He is exceptionally adept at developing inimitable assays for the detection of circulating human biomarkers and has meticulous skill in creation, validation and verification of clinical assays. Expertise: Highly experienced at developing unique assays to detect novel markers using human blood or non-invasively sampled bodily fluids. Gary provides meticulous evaluation of technologies to support development of the specification of the technology platform and will continue to support serial validation testing of platforms throughout the development process. Jim has extensive experience growing sales and launching products against competition to emerge as the market leader. As the past president at Mallinckrodt Medical Imaging Division, Jim developed a core team to drive sales of a 3rd to market diagnostic product exceeding $1 billion over a mere 3 years. Having recently participated in the successful launch of other privately-financed medical product opportunities, Jim has in-depth knowledge of the strategy necessary for financial realization in the world of medical technology. Frankie obtained his PhD in Bioengineering from UC Berkeley in 2012, where he specialized in microfluidic devices for quantitative cell biology and point-of-care diagnostics. In addition to his position with XCellCure, Frankie currently teaches courses on medical instrumentation at UC Berkeley. He brings broad technical expertise to the team in microfabrication, electronics, software development, and molecular diagnostics. John Kirby, MD, FCCWS, FACS Surgery / General Surgery John currently practices in the Division of Acute and Critical Care Surgery Washington University School of Medicine. In addition to his employment at Washington University, John is an Associate Professor of Surgery in the Division of General Surgery - Acute and Critical Care Surgery Section and Director of the Wound Healing Program Barnes-Jewish Hospital & Washington University School of Medicine in St. Louis, Missouri. His experience in high volume institutions with immensely varied patient populations is an asset to support clinical trials in the area of emergency detection of an impending MI and for patients with acute and chronic wounds. Robert Bolla, PhD Molecular Biologist Dr. Bolla recently served as Associate Provost for Research at Bradley University in Peoria, IL. Prior to his post at Bradley University he was Chairman of the Biology Department at St. Louis University. Bob brings to XCellCure extensive experience launching innovative technologies for SLU and later Bradley University. Dr. Erik (E.A.L.) Biessen, PhD Dr. Biessen currently serves as a Professor of Experimental Vascular Pathology at University of Maastricht. He is the principal Investigator on multiple studies fueling the innovative technology at XCellCure including groundbreaking studies regarding the prognostic value of Cardiac Biomarkers CCL3, CCL5, and CCL18. 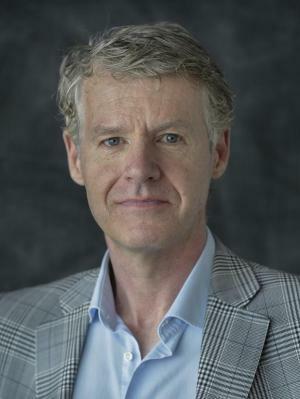 Dr. Theo van Berkel, PhD As a specialist in Cardiology, cell biology, and molecular biology, Dr. Theo van Berkel serves as a leading expert at Leiden University. Dr. van Biessen has contributed groundbreaking discoveries to the field of cardiac biomarker use in risk assessment, particularly regarding prognostic value of CCL3, CCL5, and CCL18. He serves as Head of Department at Leiden University's Biopharmaceuticals & Atherosclerosis Center for Drug Research in addition to his contributions at XCelLCure.